Special Guest MC for talent competition is Kimberly J. Brown, aka Marnie Piper in Disney Channel's Halloweentown movie series. 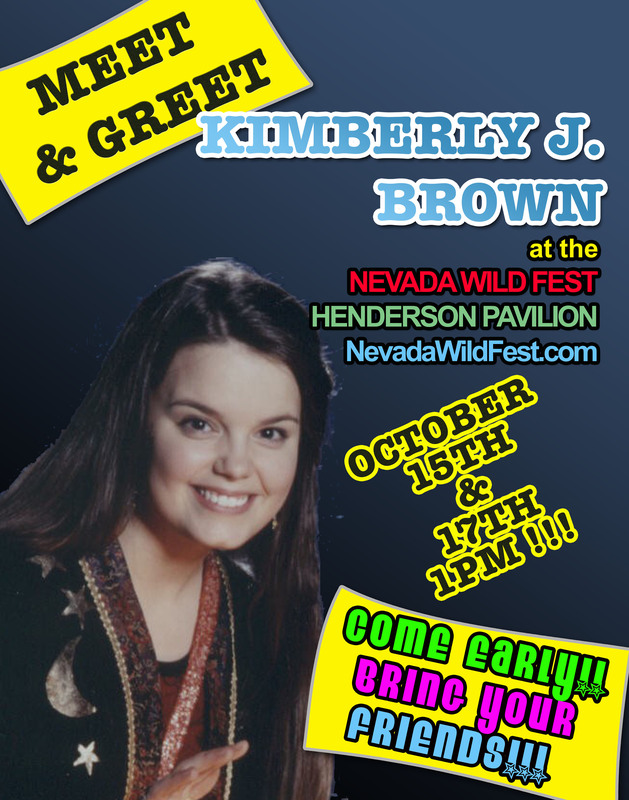 Kimberly will MC the talent show on Friday Oct. 15th, Saturday, Oct. 16th and Sunday, Oct. 17th from 10:30am - 1pm. Have your picture taken with Marnie Piper and get her autograph too! Enter drawings for Marnie Piper giveaways - "Halloweentown" movies and posters, Marnie Piper Photo Ops and more! Proceeds benefit the Lili Claire Foundation. The event is around the corner here is all the information you need to know. You will need to park at the Green Valley Ranch Hotel and Casino so please manage your time to arrive earlier so can find parking and be on time for check in. Check in is at 10:00 AM at the Production Office which is located at the entrance of the Pavillion, please do not be late! If you are late for your performance we will have to continue with everyone else and you will go on only if there is time after everyone who is on time is done. The winner will be announced at 3:00 PM on friday, and 2:00 PM on Saturday and Sunday. The announcement will be done on the same stage you performed on. If you are the winner you will be invited to perform on the main stage at 5:45 PM openning for the concert that night.